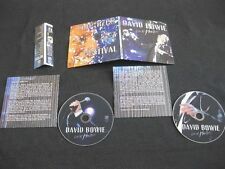 DAVID BOWIE - Live At Montreux Jazz Festival: Montreux, CH 2002. Auditorium Stravinski, Montreux. Eye of the Storm 2013, EOS-338. not a Japanese edition, but a very nicely done Mini LP. SBD / Soundboard, excellent sound quality. 02 Heathen. Auditorium Stravinski, Montreux. 12 Art Decade. Includes exclusive artwork, detailed inserts with pictures, texts & detachable promo strip. 02 Life On Mars. Switzerland July 18th 2002. 08 Speed Of Life. (1) Lea Delaria ‎(from ‘Orange Is The New Black’) “House Of David” (Jazz-infused covers of Bowie’s best) CD. Backing Vocals – Lea Delaria. 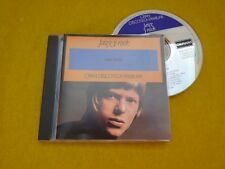 2) The Deram Anthology 1966-1968 (David Jones era) CD Collection. NEU, SEALED. David Bowie ‎– ★ (Blackstar). Words By, Music By – David Bowie. Lyrics By – David Bowie. Music By – Bob Bharma , David Bowie, Maria Schneider, Paul Bateman (7). Words By – David Bowie. Mixed By – David Bowie, Tony Visconti. Artist: Lea DeLaria. 2015 album by the actress and vocalist best known as Carrie 'Big Boo' Black in the hit Netflix series Orange is the New Black. and a roof-raising gospel take on "Modern Love.". Title: House of David. Artist: MURRAY,DAVID / BOWIE,LESTER / HOPKINS,FRED. Format: CD. We cannot be held responsible for delays if you do not use this reference. We want you to be 100% happy with your order. You are also entitled to have the goods repaired or replaced if the goods fail to be of acceptable quality and the failure does not amount to a major failure. CD is NEW, NEVER PLAYED. 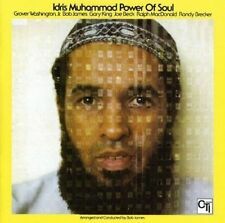 Hands down, the most coveted of all CDs released in Japan by the Jazz arm of King records, from the original C.T.I. label. We have just secured one that has never been opened. Genuine, authentic Japanese KICJ-8065 pressing- unavailable in Japan for more than 20 years. [CD]. Drums – Mitch Mitchell. David Torn's hard to find 1996 album. Artist: David Torn. Original German CD from the age. Catalog Number: CMP CD 1012. Format: CD. What you see is what you get. Queen & David Bowie, Duran Duran, Bow Wow Wow, Iggy Pop. Hollywood Cool. The Largest Collection in Germany. Second Hand and New. 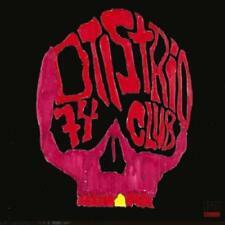 Here you may buy music at very low prices. By: The Great Jazz Trio. Yes and no. Any CD that is made in Japan, will of course be sold and intended for the Japanese market. If Bon Jovi releases a new album world-wide, naturally, most countries will issue their own CDs. The six selections (four are over ten minutes and "For Walter Norris" exceeds 21) are full of spirit, looseness, humor, screams and screeches. ~ Scott Yanow. Personnel: David Murray (saxophone), Fred Hopkins (bass), Phillip Wilson (drums) and Lester Bowie (trumpet). Format: Audio CD Condition: Good. (Item #ZB00000DDU9Z3|0). 8 – Moby Ah-Ah (Mix 1). Producer –Moby 3:30. 14 – Brian Eno Under. 10 – Moby Next Is The E (Long Arms Mix). Producer –Moby 4:41. Producer –Brian Eno 5:20. 1 – David Bowie Real Cool World. 11 – Da Juice Do That Thang (Polite Mix). Title: THE FINAL CHANGES (2DVD). Format: DVD. Missing Information?. Condition: New. ED.PLANETA DERAM DF038-2/844 090-2 (SPAIN). 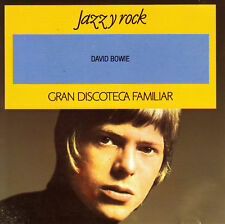 (JAZZ Y ROCK - GRAN DISCOTECA FAMILIAR - REISSUE OF THE DEBUT ALBUM RELEASED IN 1967 ). DAVID BOWIE. COMO NUEVO / CASI COMO NUEVO. Fast 100%ig neu oder sogar ungespielt. Das Cover sieht fast perfekt aus, keinerlei Abrisse, Knicke, keine Schrift oder ähnliches. Coverversions By David Bowie Tears For Fears. Title: Prog. Die unten genannten Einstufungen gelten für den Gesamtzustand von Platte und Cover. Consulta disponibilidad para Madrid,Santander, Valladolid y otras ciudades. NO DUDES EN HACERNOS CUANTAS CONSULTAS SEAN NECESARIAS. NUNCA SON SACADAS DE INTERNET. THEY ARE NEVER EXTRACTED OF INTERNET. BLACKSTAR (EXPLIXIT). DAVID BOWIE. YEAR : 2016. Tis a pity she was a whore. NEW & SEALED CD / NEU & OVP. DAVID BOWIE. Nite Flights. BLACK TIE WHITE NOISE. Black Tie White Noise. Miracle Goodnight. YEAR : 2003. NEW & SEALED CD / NEU & OVP. DAVID BOWIE. Dead Man Walking 7:26. MADE IN CANADA. Law (Earthlings On Fire) 4:48. Seven Years In Tibet 6:21. Battle For Britain (The Letter) 4:49. The Last Thing You Should Do 4:57. DAVID BOWIE. DIE CD IST UNGESPIELT UND DIE ABSPIELSEITE DER CD IST MINT. If I'm Dreaming my Life. New Angels of Promise. ZUSTAND / CONDITION. YEAR : 1999. 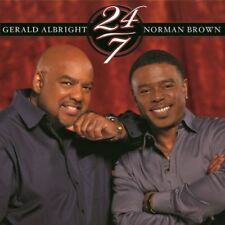 LABEL : VIRGIN RECORDS 724384815721. Brilliant Adventure. David Bowie Real Cool World Cd Single . Condition is Very Good. Dispatched with Royal Mail 1st Class Large Letter. David Bowie - ?. 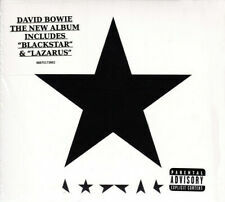 Blackstar (Australian Import Digipak). Japan Import. CategoriesVinyl CD DVD Blu-Ray MC/Cassette. Support: CD. Artículo dañado o defectuososerá reemplazado sin costo alguno para usted. NOUVEAU une dédicace à David Bowie par David Hart et Amon Ra. Compteur gratuit de Auctiva. Photos Super Size. Format Album. Genre Jazz. Offrir plus de titres. Lea DeLaria : House of David: Lea DeLaria Sings Bowie CD (2015)Title: House of David: Lea DeLaria Sings Bowie Artist: Lea DeLaria Genre: Jazz|Jazz Format: CD / Album Type: CD No. of Discs: 1 disc(s) Studio / Label: Ghostlight Records UK Release Date: 18 Sep 2015. Lea Delaria - House Of David Lea Daria Sings Bowie. Support: CD. CategoriesVinyl CD DVD Blu-Ray MC/Cassette. Artículo dañado o defectuososerá reemplazado sin costo alguno para usted. Los gastos de envío para la restitución a su cargo. (Cordelia Records ‎CD05). Ziggy Played Surf Guitar - Various Artists. 5–The Thurston Lava Tube - Ziggy Stardust 2:24. 15–The Mighty Surf Lords - China Girl 4:38. The CD and cover are in excellent condition. Artist: Lea DeLaria. Title: House of David. Format: CD. Missing Information?. Condition: New. Number Of Discs: 1. Release Date: 2015-09-18.